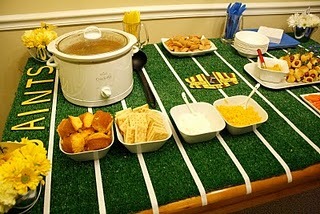 Jackie Fo: Football Decor and Delicious Dips - Must be time for the Superbowl! 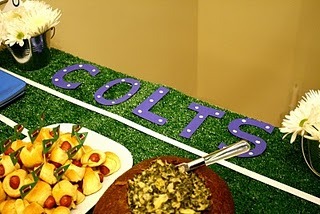 Football Decor and Delicious Dips - Must be time for the Superbowl! Before I share the delicious chocolate recipes I talked about on my last blog post, I think it's time for some Super Bowl ideas, no? 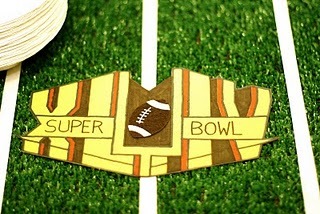 I know a lot of girls hate Superbowl Sunday, but I have to admit, I thoroughly enjoy it. 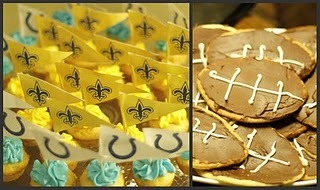 Funny commercials, tons of bad-for-you treats and friends...sounds like a fab Sunday to me! 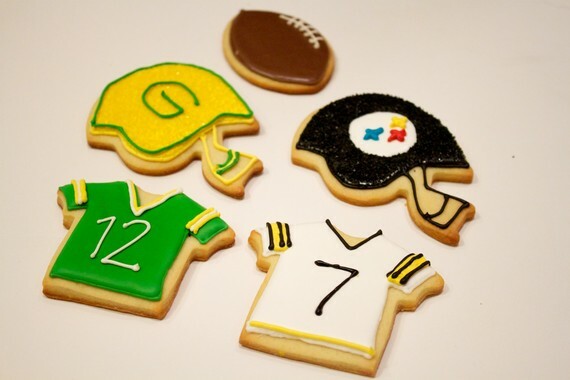 Sweet treats from Etsy - they ship ASAP, so you can get them in time for Sunday! Need a little water after all those salty snacks and beer? 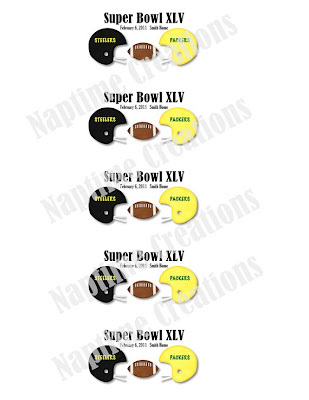 Wrap your bottles with these cute labels, also from Etsy! 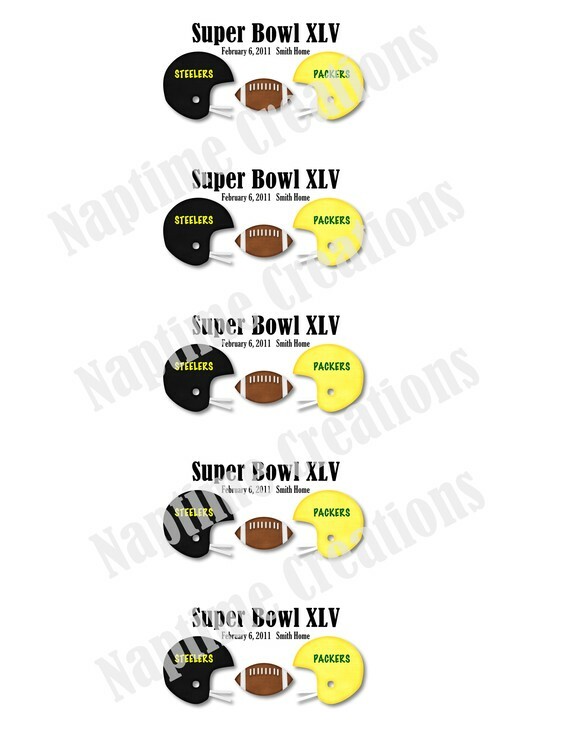 And finally, Battle of the Onion dip... I have stumbled across 2 onion dips that look AMAZING. Option 1: Caramelized Vidalia Onion Dip via YumSugar from Katie Lee ... This looks seriously amazing. I am off to make pros and cons list about which dip to make (joking)....Have a great Hump Day Wednesday! 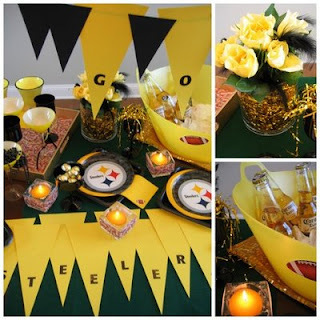 Thanks Jackie for featuring my Steelers Party. 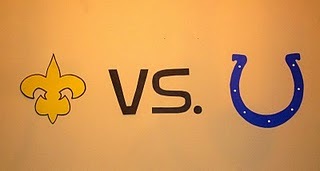 Hope we can pull out another win! !